Who said that colourful buildings are only in Notting Hill? Came across these pretty houses around Chelsea during the weekend and made one of the houses as my photo backdrop! 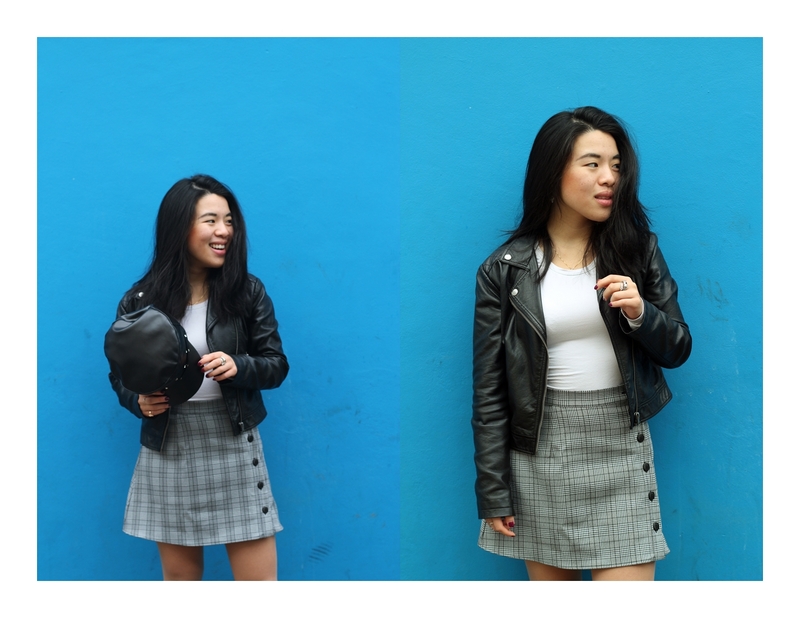 Preparing few posts about picks, life and places around London! Cannot wait to share them with you! 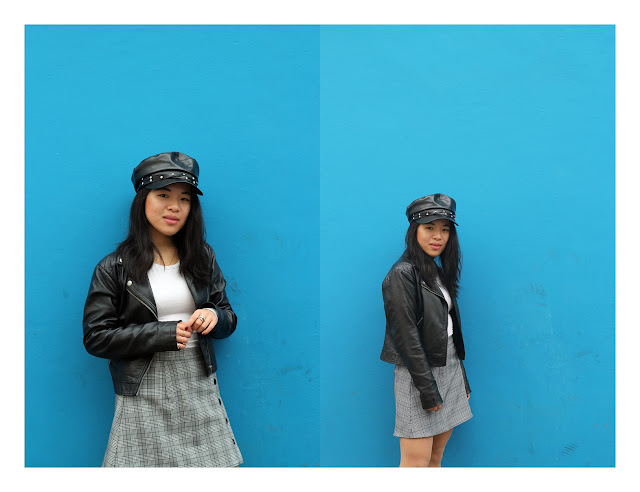 Wearing faux leather biker hat, together with Tobi plaid skirt which you may have seen in one of my previous post already, Lindex jacket (get a similar one here) and a basic white tee from Asos.